hong's blog....: Ministerial Pay Increment. Yes/No/Maybe. Start with this short article. Before the verdicts are 'cast in stone' later today (Monday 9th April 2007), I think it would be important for many of us to firstly understand the various implications that such a pay increment may or may not prove to be a positive decision. Are repercussions among the populace going to affect their once-upon-a-time awed perspective towards the government? If such a tarnishing-result was to occur, would the next election show a more “pro-opposition” stance? Is the current government attempting to ‘push the limits and thresholds’ a little too much, too fast? 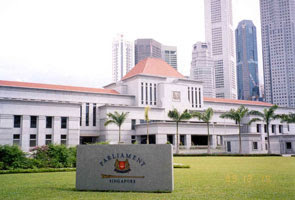 Shortly after the announcement of the 2007 budget http://www.mof.gov.sg/budget_2007/index.html, the government plans to ‘shock the populace and the world’. While I must firstly justify my position, perspectives and opinions as entirely personal, in the attempt to be ‘fair’, the result may be much the opposite in the eyes of many. To draw top talents into the echelons of the Singapore government thru fiscal imperatives and ‘carrots’ have been a hotly debated area, seeing how the civil service is a pool of peoples providing a service for the nation’s populace. However, without being over pragmatic in making my point, I would like to stress that societies are differentiated in the way they function and respond, and in a meritocratic and capitalistic society in Singapore, the rational behind working has far deviated from historical reasons of spiritual and personal-satisfaction. The objective of “putting bread on the table” has stretched to the ‘Living the Singapore Dream’, a new book compiled by Tan Yong Soon, the permanent secretary of the Minister of the Environment and Water Resources. When a nation sets the trajectory of economic success as the imperative and impetus for national development, the society within this nation follows the government-led policies into success or failure. In the short forty-two years of modern Singapore’s history, the success thus far has led many of Singaporeans to be entrenched with a monetary-lens in regard to how we view success. A clear key example one could ask would be the devotion of the male population in Singapore when it comes to serving the nation thru National Service. Given a choice, how many would serve? This point goes deeper into those who DO sign-on as a regular with the Armed Forces, how many are in it for experience, 'iron-rice-bowl' safety, or pure patriotism? Such state policies are implemented and aimed at a greater long term strategic good, and would not have been possible without a strong and determined government. Ignoring the minor digress in the previous sentences, it is of vital importance that the civil-service are also mere human mortals like you and I, money is no longer purely a greedy desire, but also a necessacity of life, especially when espoused by national trajectory(s). One must understand that in a resource-scarce nation such as Singapore, and as elaborated on many occasions by government officials, human resources serves as the only ‘safety net’ we have between the continuation of a first world nation, and whatever it is we ‘sky rocketed’ from since the 1960s and 1970s. While not attempting to justify a pay increment within the civil service and ministers, one must remember that the 2006 elections in Singapore was riddled with ‘bullet holes’ of upgrading packages to lure constituents not within the direct control of the ruling party. Have we developed a style of governance that depends upon monetary gains for ensuring certain improvements and continuations? What is the clear definition of corruption in our specific national context? While some argue that agencies such as Transparency International, thru their inquest into corruption standards thru the CPI, an important point to take note would be the affluence and influence other nations have when compared to Singapore. Others may argue that ‘power corrupts’, thus maintaining a government that “seems” to increase their ‘power’ thru legal means could be erroneous and ultimately detrimental, one must take into consideration the argument between a benign government that seeks to improve the general public as a whole, versus a government that seeks to improve purely their own ‘bank accounts’. When magnified into a larger perspective, the issue of American superpower dominating certain areas of the globe benignly, while “wholesale” ignorance of others. While it remains to be seen (later today, and in the following months in regard to implementation) how the government would decide and how the people would react, it could be said with certainty that the legitimacy of a government is not gained thru a short-term imperative, but thru a long-term collectivized build up. Thus, while a single turning point would not be anticipated any time soon, is gradual discontent building up that may result in a "shake a can of soda" ending? End with this short article. November 8, 2009 at 6:11 a.m.